Owen SM, Leaver DS, Bealey WJ, Wilson R, Reis S, Sutton M (2011). A new database for time-series monitoring data: the NitroEurope approach. iForest 4: 226-232. The NitroEurope Integrated Project (2006-2011) aimed to gain a better understanding of the nitrogen cycle and its impacts on the European greenhouse gas balance. Over sixty project partners collected large volumes of data from sites all over Europe. 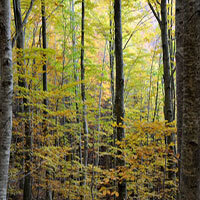 There are currently more than 15 forest sites in 11 countries, including beech, oak, spruce and mixed forests. The collected data are at different temporal resolutions, from one-off measurements to 30-minute time-series data. Around 500 variables (plus attributes) are measured, including soil and plant data, details of cultivation management for natural and manipulated sites, long-term datasets of flux and concentrations of greenhouse gas and pollutants and their precursors, and micrometeorology data. The NitroEurope research community therefore needed a database to provide easy upload and extraction of data for analysis, interpretation and modelling. A bespoke database with a web-based graphical user interface (GUI) in a user-friendly and attractive online environment was produced by the NitroEurope (NitroEurope 2011) database development team. The software provides a flexible interface between Microsoft Excel workbooks and an Oracle database. The database “Form Manager” enables construction of database forms which reflect the project’s Excel data workbook templates. The software locates data according to Excel worksheet and cell references. The database “Uploader” extracts the specified data from completed Excel templates and uploads data directly to the Oracle relational database tables through the web front-end. Data are run through a series of automatic checks on upload which can be verified using an online graphing tool. Data are then validated and made available to the NitroEurope community for downloading. The database “Reporting” tools enable data from different sites and activities to be brought together and datasets can be previewed and graphed before they are downloaded. The database has almost 300 users and currently contains over eight million rows of data. The data will be made available to the wider scientific community two years after the project ends (Spring 2013). The database structure is extremely flexible and has been used for the storage and reporting of other time-series project data at our institute. Assessment of the nitrogen and carbon budget of two managed temperate grassland fields. Agriculture, Ecosystems & Environment 133 (3-4): 150-162. Guest Editor’s Introduction: Greenhouse gas exchange in European ecosystems and their interactions with nitrogen - results from NitroEurope IP. European Journal of Soil Science 61 (5): 627-630. The CarboEurope Regional Experiment Strategy. Bulletin of the American Meteorological Society 87 (10): 1367-1379. Dry deposition of reactive nitrogen to European ecosystems: a comparison of inferential models across the NitroEurope network. Atmospheric Chemistry and Physics 11 (6): 2703-2728. Quality control of CarboEurope flux data - Part I: Footprint analyses to evaluate sites in forest ecosystems. Biogeosciences 5(2): 433-450. Quality control of CarboEurope flux data - Part II: Inter-comparison of eddy-covariance software. Biogeosciences 5 (2): 451-462. Greenhouse gas emissions from European soils under different land use: effects of soil moisture and temperature. European Journal of Soil Science 61 (5): 683-696. Biosphere-atmosphere exchange of reactive nitrogen and greenhouse gases at the NitroEurope core flux measurement sites: Measurement strategy and first data sets. Agriculture, Ecosystems & Environment 133 (3-4): 139-149. Challenges in quantifying biosphere-atmosphere exchange of nitrogen species. Environmental Pollution 150 (1): 125-139. European scale application of atmospheric reactive nitrogen measurements in a low-cost approach to infer dry deposition fluxes. Agriculture, Ecosystems & Environment 133 (3-4): 183-195. Human alteration of the global nitrogen cycle: Sources and consequences. Ecological Applications 3: 737-750.